An old soul in a young body, gifted beyond his years! Tyler Morris is one of those rare individuals that has talent far beyond what all logic would dictate by looking at the number of years he’s been alive. It’s no wonder then that he has worked with a long and ever growing listed of big names in Blues and Rock. Bob Margolin, James Montgomery, Sammy Hagar, Buddy Guy, Amanda Fish, Joe Perry, Van Halen, Gary Hoey, and Robben Ford are just a very short list of examples from a long and growing resume! From full concerts with his own band, performing at festivals, sharing the stage with legends, to touring for some of the best guitar makers in the world; Tyler has continually raised the bar both for himself and the up and coming artists! 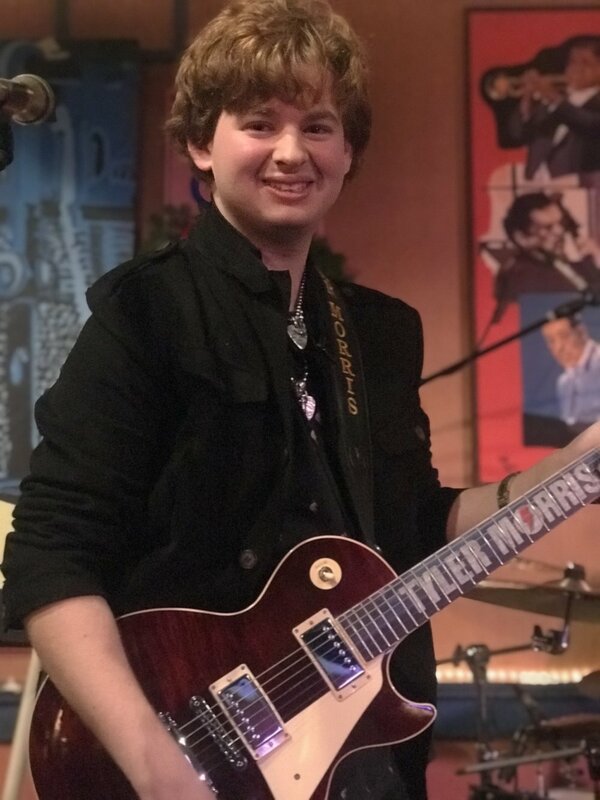 With an obvious influence by Jimi Hendrix, Freddie King, and Stevie Ray Vaughn, Tyler has shown he has the soul to play the Blues and the versatility to nail the target in Rock too! His performance at the North River Blues Festival, in August 2018, had the crowd on their feet with an electrified display of Blues Rock. Further cementing the vision of a bright future ahead of this young man! Starting December 2018 off the right way on December first, Tyler showed once again what a commanding performance should look like! 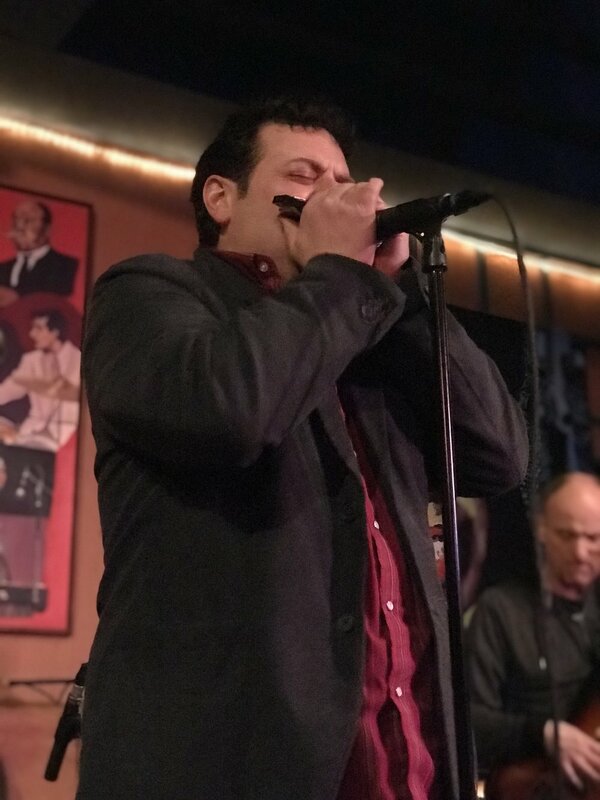 Sharing the stage with Craig Rawding (Vocals/Harmonica), Don “DC” Culp (Drums) and Dean Cassell (Bass) they all made for an outstanding evening of Blues! Craig Rawding, formerly of the Delta Generators, brings a power filled soulful voice that can hit the perfect feel for slow blues, has the range to hit the high powered rock anthems, and everything in between. He is also an accomplished harp player, bringing that classic style and sound into the music. Having worked with bands who have specialised in 50’s era tunes and then worked his way into full modern Americana, Craig is one of those singers that you’ll walk away remembering completely as a true talent! Don “DC” Culp consistently proves why he is a sought after percussionist for live performances and for session recording. I’ve seen him make a full and total sound with both a traditional drum set and with a bongo as the main drum beat alike. No matter what he brings, they are an extension of himself, and you’ll not be disappointed! Dean Cassell (from the John Cafferty and the Beaver Brown Band) held the bassline all night long and brought the funk and soul into the solo’s that bass players don’t often enough get the chance to stand out with. Having toured through 23 countries and all but 1 state in the US, Dean is a prolific and gifted musician who put on full display what a bass is supposed to sound like! Tyler, at 20 years old, is currently signed with the Vizztone Label Group, where he released his third album “Next In Line” in February 2018, shows what it means to be a hard working musician who has to balance the personal and professional life in equal measures. Something he does avidly and proves that you can chase your passion and your gifts no matter where you are in life. His hard driving work with rock and blues rock are pure fun and excitement. For me his skill at slow blues and the classics, as he has demonstrated when working with Bob Margolin (this will be another review soon) are where you truly see the soulful beauty of the music channel through him. One of the finest examples of his feel and skill for classic blues in a fun dance worthy tune is Choppin’ (off of his latest album) where he takes an instrumental piece and you’d swear you walked away from it hearing some of the finest lyrics that were never even there. My favorite of the night was “Driving Wheel”, a soulful blend where you see this young musician put his old soul on full display. bending strings and carrying you serenely through the song of pure emotion and life in a safe cocoon of full round soothing music. All while you are taken through a beautifully expressed story by Craig. There were several times that you could see that the “spirit moved” in him. There was a moment when you would have thought the song was over, in fact I’m reasonably certain the rest of the band did too… But this young man was channeling the talent that has carried him far and that song just wasn’t finished yet for him. Moving through the cords while lost in the emotion of the moment, he showed what it means to be a musician who feels what he is playing, not just playing what he feels. You couldn’t help but to notice the smiles and looks of appreciation on the rest of the bands faces as they watched Tyler keep soaring through the music. I tell you, it was a moment of pure beauty for any true music fan to witness. especially a Blues fan. One of the things that has drawn me to this music has always been the honesty and the raw full emotion that comes through these talented artists. It’s as though there is a full connection between my soul and the music. Music that I do not have the gift to play (or even sing, as my cats can attest to), but a music that I connect to on a deep level. As the number of shows I attend are typically a larger number than most, there are more opportunities for exposure to these wonderful moments. But even with as often as I travel around the region there are still moments that stick with you. This was one of those moments. The whole room, band included, were focused on something special happening right there in front of us. And this is why I continue to go out and enjoy the music. Those moments are precious and beautiful. Each show I’ve attended, I’ve seen Tyler show a continued gratitude and humbleness to his fans. A quality you don’t find too often in someone as young as him, and that the potential for someone so gifted to take for granted. Tyler has NOT done this with his fanbase. He makes sure to thank each person that comes up to him, with his full attention and appreciation. Tyler is regularly adding new dates, so keep an eye out for new concerts and do yourself a favor and plan for an evening of fun. In the meantime you can pick up Tyler’s latest album, Next In Line, and start enjoying the tunes that get even better when you hear them live!